All industries look to job shops to fulfill certain requirements. Fives partners with job shops and OEMs alike in the development of productive solutions. Job shops / General Machining are challenged with responding to customer needs from a variety of industries. 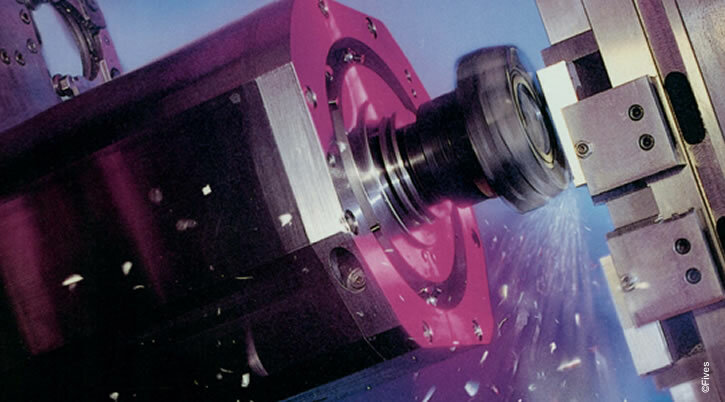 Fives provides a wide range of machine tools with extensive capabilities to achieve these machining requirements. Job shops / General Machining must be able to produce parts of varying material, sizes, volumes and complexity. Fives machine tools offer the versatility, reliability and precision to handle applications from batch runs of part families to unique prototype parts. Horizontal boring mills from Fives Giddings & Lewis have long been the workhorse of contract machining companies, providing reliable heavy-duty milling, drilling and boring capabilities. Options and attachments offer machining flexibility. For even greater versatility, a dual head live spindle/integrated contouring head model is available. Automation is a growing need for all manufacturers including general machining shops as the industry faces the constraints of skilled operators and reduced lead times. Cincinnati Forest-Liné and Giddings & Lewis machining centers automate event large part production with pallet shuttles and automatic attachment. Machine tools owned by job shops must be able to handle the heavy cutting of a railway wheel one day and the high precision of a wind bearing the next. Giddings & Lewis vertical turning centers have a rigid machining platform that easily performs both powerful roughing cuts and high tolerance finishing operations. Fives brings its expertise and services to supply tailor-made solutions and ensure an optimal performance and improved availability of the plant.